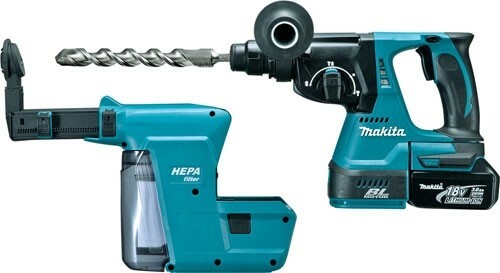 What I find most interesting is not the new 36-Volt HRH01 Rotary Hammer, but the lack of 36V Makita tools in the US. While other countries have a few 36V Makita tools, up until now we've had just the one. I mean, how awesome would a 36V miter saw be? OK, back on track now. 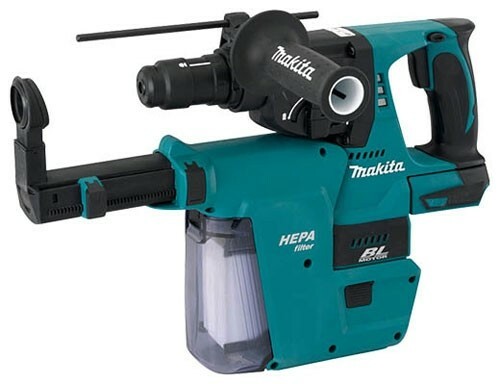 The new Makita HRH01does not appear to be much different from the old BHR261 36-volt rotary hammer. As far as I can tell from the specs and even the photo, they are identical. So if you want to read about it, you can read my 3-year old post. Now the Makita 18-volt 1-inch LXRH011 with on-board HEPA filter vac is one cool looking tool. It uses Makita's latest Brushless Motor technology that offers up to 50% longer run times per charge, and is also better suited to handle concrete dust. A cool feature on the HRH01 is something called Sequential Impact Timing, where the hammering is timed so that it strikes in an overlapping pattern during rotation. Makita says that this feature alone reduces drilling times by up to 50%. The Drill without the HEPA attachment weighs in at just over 10lbs, and has an overall length of 12-7/8". It has a max no load speed of 950 RPM and a max BPM of 4,700. 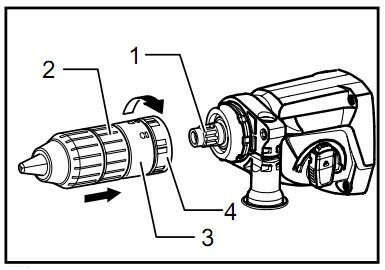 The HEPA portion of the tool (attachment) is powered by a separate motor and is activated automatically when the tool trigger is pulled. It is also equipped with a 2 second delay so that any remaining dust is also collected. The LXRH01 is available as a kit, a kit including the HEPA vac (LXRH011), or just the tool only (LXRH011ZVX).